How we created the Bili brand and platform, enabling students to learn languages in an authentic way. 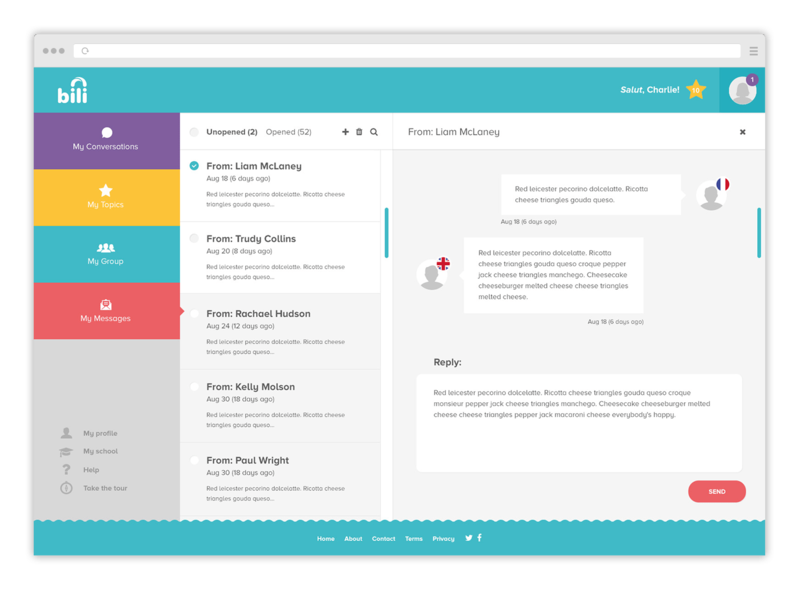 Design and build a language exchange platform for schools that facilitates authentic peer-to-peer interaction. We developed an algorithm that paired students with similar interests and skill levels together and then a set of tools that allowed them to interact with one another in a variety of ways. Teachers can view the progress of their entire class at a glance. With tools to view the student’s performance and identify students that are falling behind. We built the site to respond seamlessly to any device giving students and teachers maximum flexibility. A message board was built into the system to allow teachers to communicate directly with the teachers from their partnered schools. Teachers have the ability to create learning material to share with other teachers. Topics can optionally added to the topic bank, allowing other teachers to search and browse for topics to use in their own class. 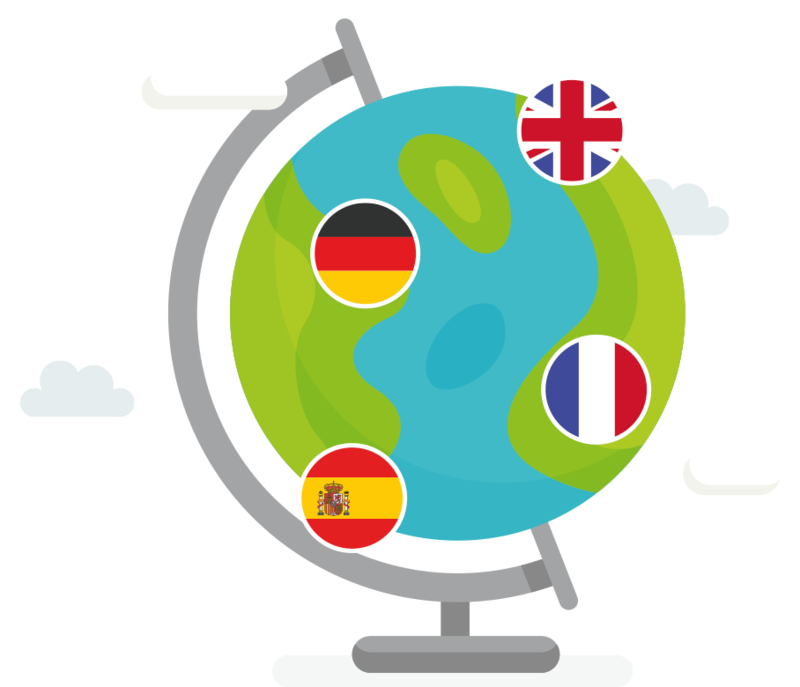 The sites written content has been manually translated between its four working languages for total accuracy. Bili is now live in the U.K., France, Spain and Germany, and Singapore. Being used by 45 schools and over 3500 students. “The quality of work and understanding of the project from the whole team has been outstanding: from the first meeting with Kelly, the fantastic brand created by the designers, and the development work and near-constant support from Liam as we built, refined and restructured what turned out to be an increasingly complex process!